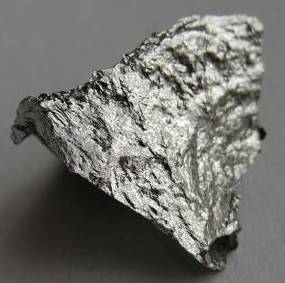 “Manganese” comes from the word “Magnesia”, which is a province in Greece, where both Magnesium and Manganese were first isolated by primitive chemists. Manganese is a trace element essential to the production of chondroitin sulfate, a substance that makes up cartilages in the body. It also acts as a cofactor to the master antioxidant Superoxide Dismutase, which protects our mitochondria from oxidative stress. However, one of it’s most useful functions is in treating seizure disorders like Tardive Dyskinesia and epilepsy. Tardive dyskinesia is a movement disorder, which results from the use of neuroleptic psychiatric medications, and is characterized by either rapid or slow involuntary, repetitive movements like excessive eye blinking, grimacing and tongue movements. It is thought to occur due to an imbalance between dopamine and acetylcholine neurotransmitters in the brain in response to neuroleptic drugs such as Zyprexa, Seroquel or Risperdal. Although many non-nutritionally familiar authorities warn of manganese overload that can cause “manganism”, which causes neurological damage, they neglect to mention that it only occurs in industrial settings such as in mining, coal fired power plants, and in arc welders where it is inhaled in high amounts. When taken as a supplement, the digestive system excretes excesses of the mineral in bile. Only about 6 percent of ingested manganese is absorbed in the small intestine. This makes it very safe to consume as a supplement. Typical multivitamin preparations will contain approximately 2.3mg of manganese, and a therapeutic dose when the above mentioned conditions are present would be from 5-20mg daily. Tune in next episode when we’ll talk about the benefits of Frankincense. Gaby., Manganese., Nutritional Medicine (2011)., Ch. 35., pp. 169-72, ISBN13: 978-0-9828850-0-0. Fritz Perlberg Publishing, Concord, NH. Atkins, R. (1998). Dr. Atkins Vita-Nutrient Solution: Nature’s answer to drugs., pp. 140-43. ISBN0-684-81849-3. Simon & Shuster Publishing Inc., New York.